We quickly grew tired of Krabi and all the Russians (seemed to be there number 1 holiday destination) and went to Koh Lanta for a few days. We wanted to see as much of the island as we could so we rented a motorbike for the day from our hostel for 200 baht. 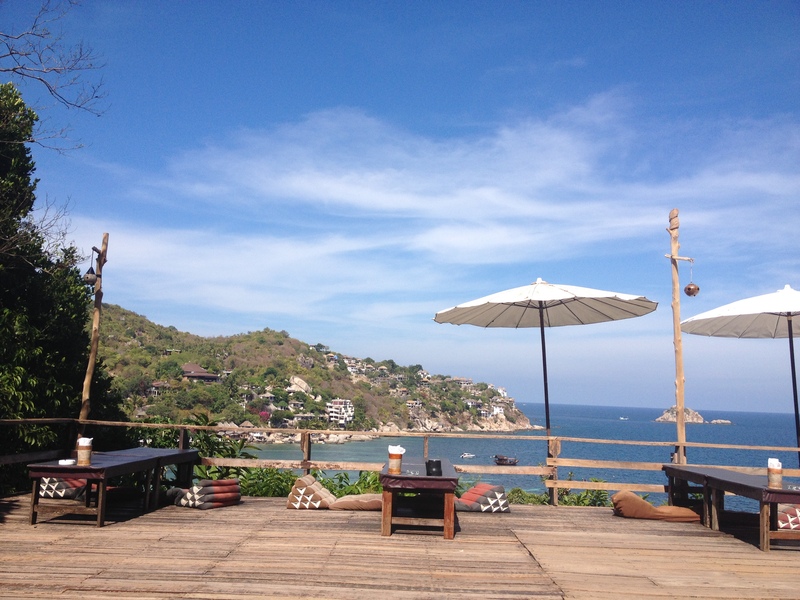 Unlike the dodgy rental guy in Koh Tao, our hostel didn’t ask for our passports or even check the condition of the motorbikes! Marc had met a Russian girl the night before who was travelling alone and was interested in joining us for the day. We had to brake sharly twice for monkeys and snakes crossing the road – it’s not everyday that you can say that! Marc’s Russian lady friend was staying at what could only be described as a hippy commune. We drove down this random dirt crack and came to a clearing with tiny little bamboo shacks scattered all over the place. The place was very, very strange. She explained that you could work at the hippy commune in return for food and board. 2 hours work got you a free night of accommodation and an another 6 hours got you free food for the day. You could choose the type of work that you wanted to do from bar tending to cleaning to hosting their open mic night. She said some people arrived at the hippy commune planning only to spend a few days and ended up staying 3 months! We went to the hippy commune’s open mic night one evening and everyone was just sitting around smoking and singing along to Bob Marley (although they seemed to be rather unsure of the words). 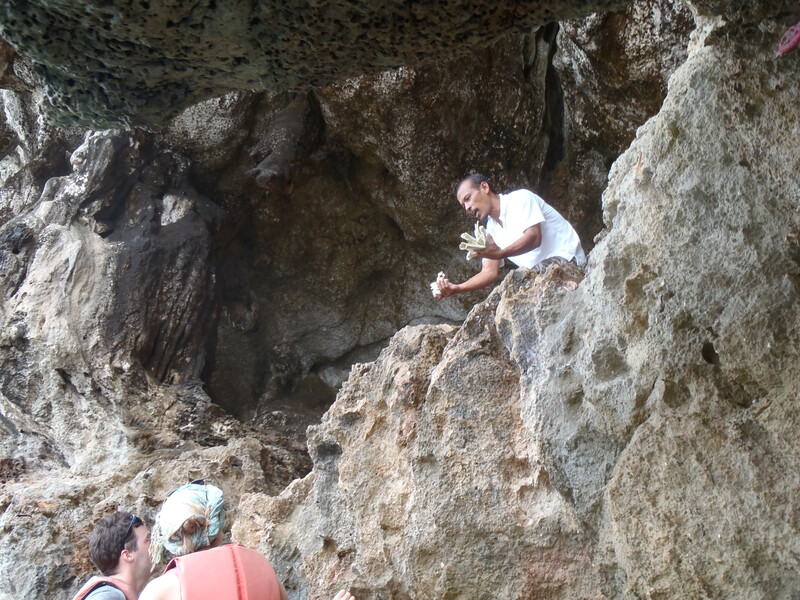 The next day we decided to check out one of the many caves on offer in Koh Lanta’s National Park. 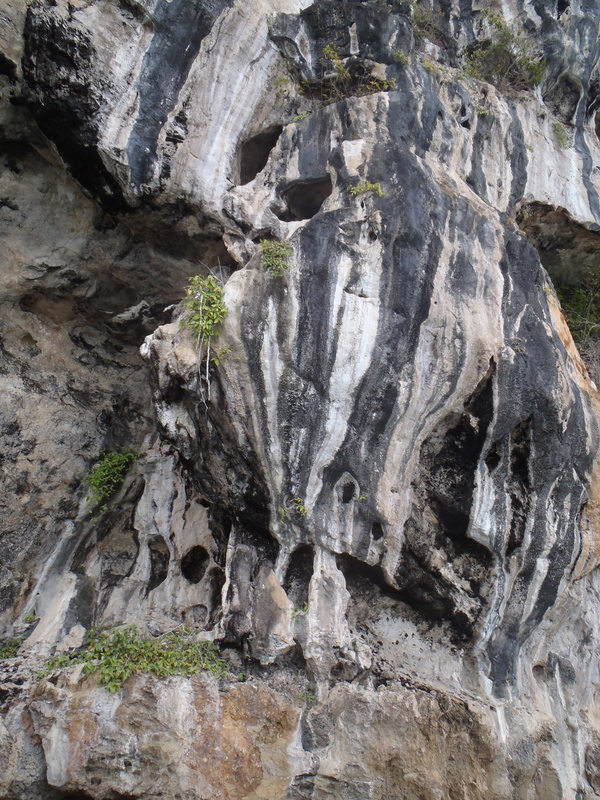 We decided to go to ‘Tiger Cave’, where tigers were reported to have lived many years ago. We followed the road signs to Tiger Cave and pulled up at this little house at the beginning of the trail, where we had to pay 150 baht each to go into the cave and an extra 100 baht each for a guide. We thought a guide would be a complete waste of money and that we’d be able to find it ourselves with a map. How hard could it be? The guy drew a very, very basic map on the back of the ‘ticket’ which just looked like two squiggly lines. The guy said the trek to the cave should take about 30 minutes. We walked, climbed, jumped over rocks, trees and streams. 30 minutes came and went and no ‘tiger cave’. The forest had no markers to point you in the right direction. 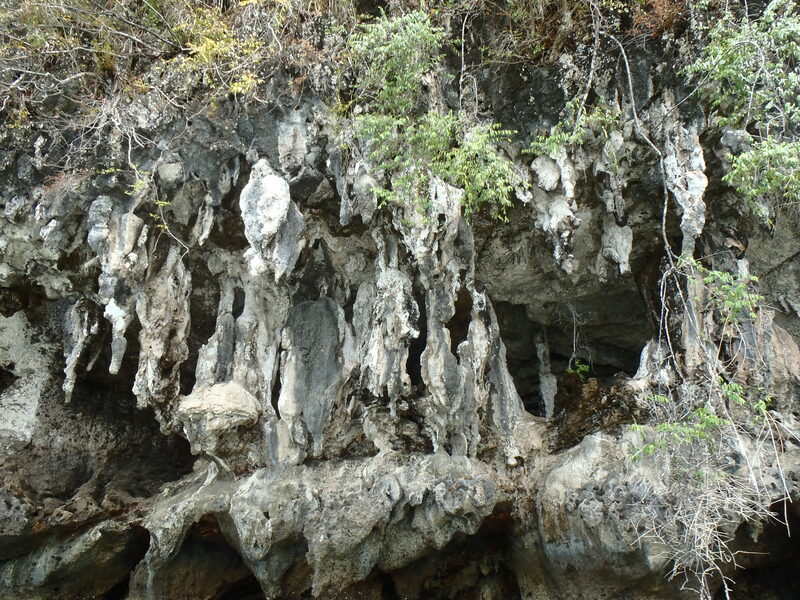 It now made sense why they offered a guide for an extra 100 baht each… We were wandering around for another half an hour before we bumped into two Australians also looking for the tiger cave. We joined forces in the hope of finding the cave together but after half an hour we were still unsuccessful. We just couldn’t understand where it could possibly be. We eventually decided to call it day because we were melting in the heat and decided to go to the beach instead. During the day we’d hear vans going past announcing events happening that night for parties, Muay Thai and ladyboy cabaret! As soon as I heard the announcement for ladyboy cabaret I wanted to go. It sounded like so much fun. Kyle really didn’t want to go though and Marc flat out refused… What’s wrong with these boys?!? It took a LOT of convincing but eventually Kyle agreed to go. He probably realised I’d go on and on and on about it until he gave in. We turned up to the cabaret show and we were one of five couples in the audience. There were more ladyboys than there were audience! It was really annoying that you couldn’t take pictures or film during the show! Some of the ladyboys looked amazing. You couldn’t tell whether they were actually men or women. Some of them looked absolutely stunning but couldn’t dance to save their lives. It was so cringe how bad some of them were. They probably should have invested in some dance lessons before joining a cabaret show! One ladyboy dressed as Barbie and sang Barbie girl (duh). She had stuffed her bra with bean bags and was getting people to put money into her bra. She would just stand there until you put money in. Luckily we were in the back row and she couldn’t reach us! At the end of the show you could take pictures with the ladyboys but they wanted you to pay 40 baht per person per picture. We took a picture with one of them and they asked for the money straight away. It was quite sad how desperate they all were. I guess they make very little (minimum wage in Thailand is 300 baht a day) and have to make it in tips. It was a little sad though and kind of ruined the show. We’ve been trying out all the public transport that Thailand has to offer recently! 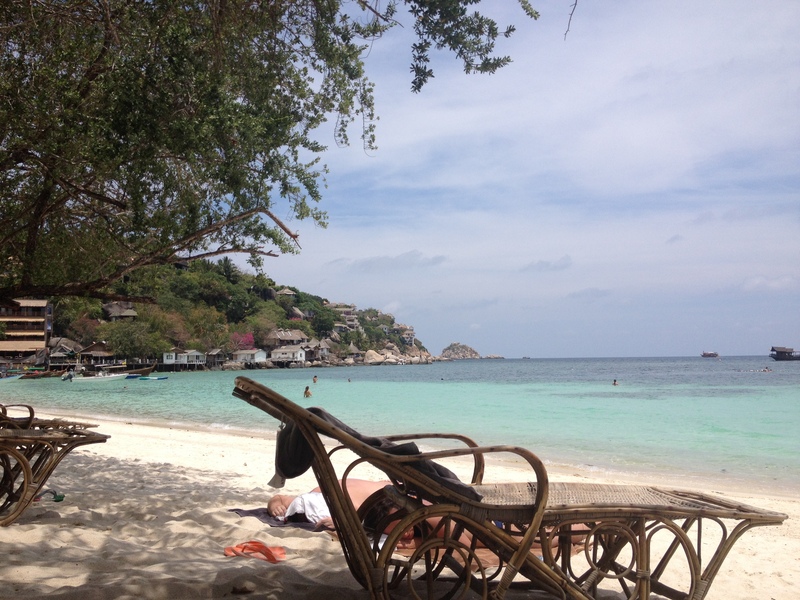 After about a week in Koh Tao, we decided it was time to move on. 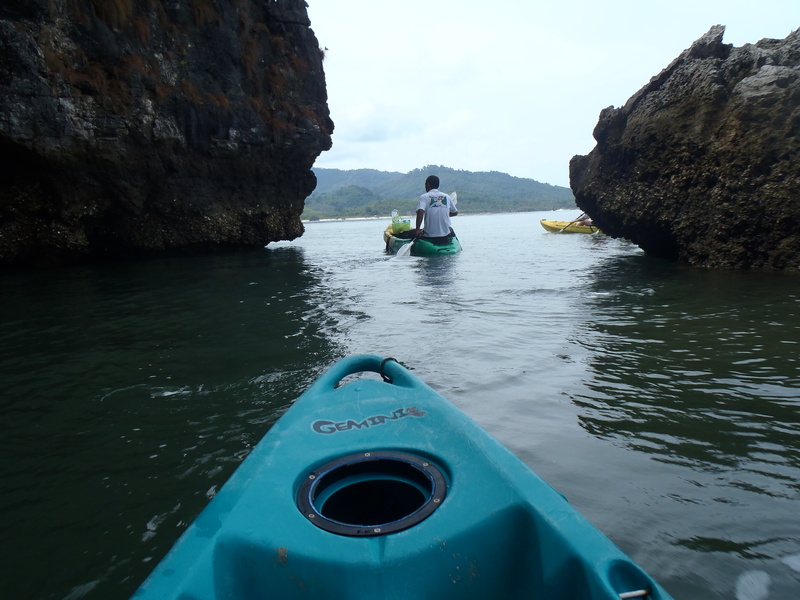 We couldn’t decide whether to try another island in the Gulf of Thailand or to go an island on Thailand’s Andaman coast. 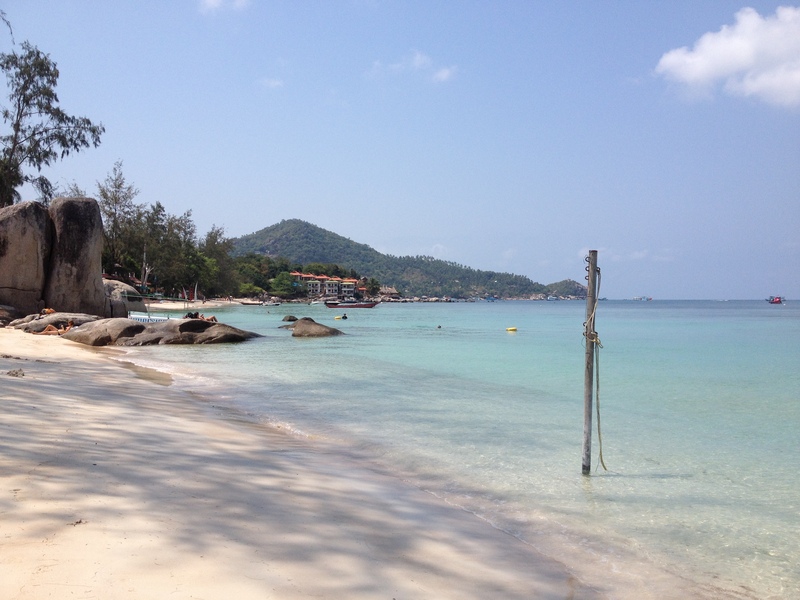 We decided that Koh Samui or Koh Phangan (Gulf of Thailand) would probably be more of the same (same same but different – common Tinglish phrase), so we decided we’d check out what the Andaman coast had to offer. 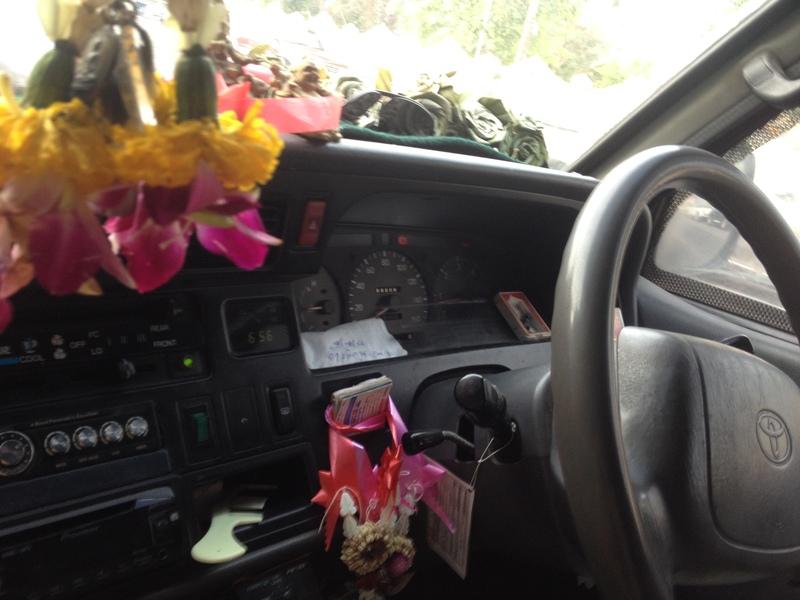 We booked tickets for the sleeper ferry to Surat Thani and then a minivan to Krabi. We weren’t quite sure what to expect of the sleeper ferry to Surat Thani. Earlier in the day before our trip we’d read reviews on tripadvisor and people were saying it was the worst experience of their lives. We also got talking to a Brazilian guy who said he found a cockroach in his bunk, but that he wasn’t sure whether it had come from his backpack as he’d just been trekking or whether it was from the ship… We got to the port pretty early and exchanged our tickets for bunk tickets. We were each given a number to a bunk. 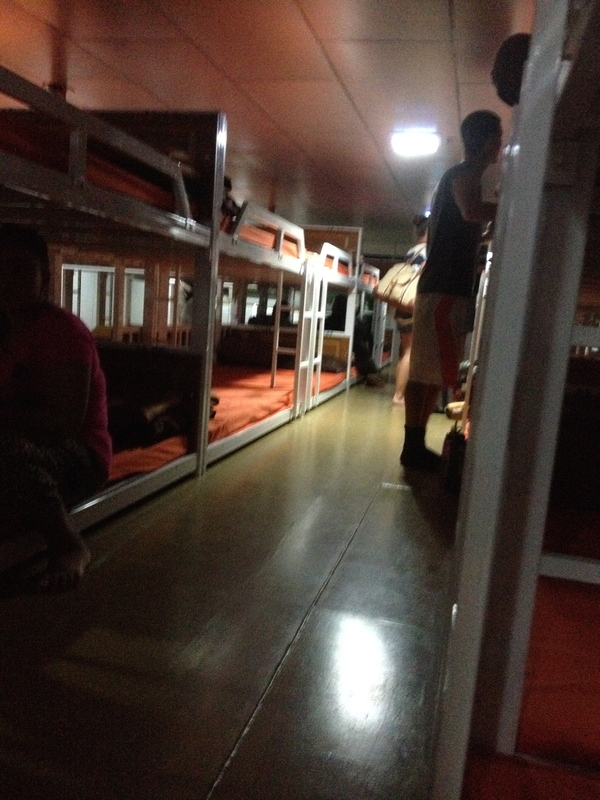 When we went upstairs, we came to a room with rows and rows and rows of orange bunk beds. We found our bunks and some of them were doubles – each half of the bed was assigned to someone. Luckily two of us had been put together. Can you imagine if you were sharing a double bed with someone you didn’t know?? It was strange. It was also so so so SO hot in the sleeping quarter – I thought I was going to melt. I wasn’t quite sure how we were going to manage 8 hours on the ferry to Surat Thani. The air con finally kicked in the sleeping quarters and it actually got pretty damn cold in the cabin. The blankets, which in the beginning I thought were a waste of time, actually came in pretty handy. It was freezing. When we arrived in Surat Thani, we were taken to an office where we’d get our VIP Coach to Krabi. 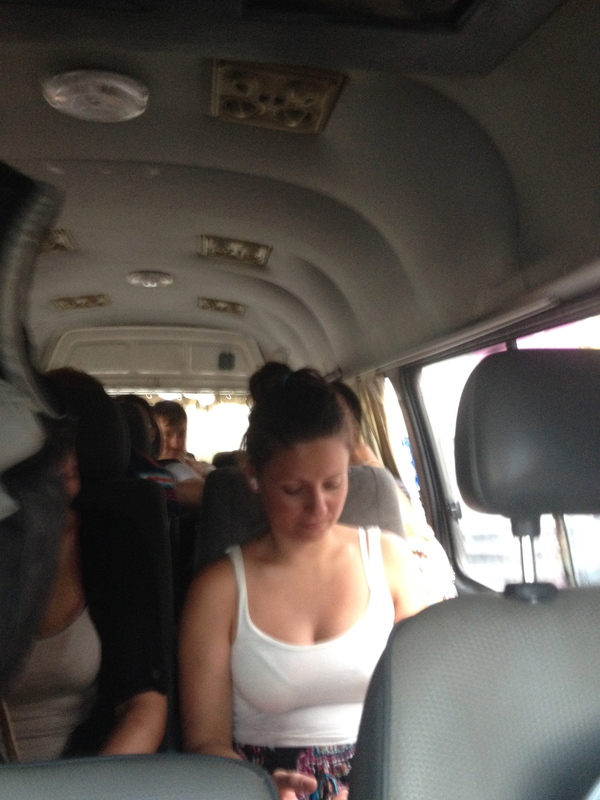 The so-called VIP Coach with comfortable seats and air con included in our ticket turned out to be a shady minivan. 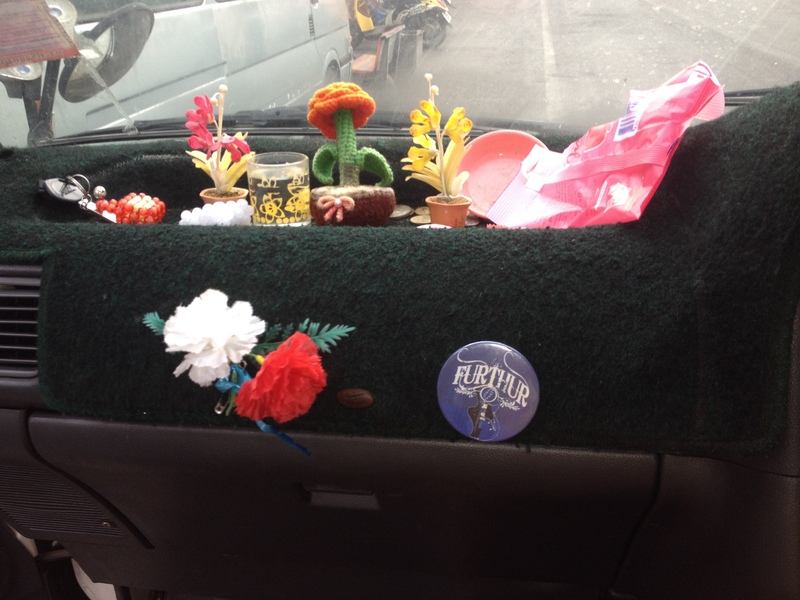 The van was packed like sardines – people had luggage on their knees! Luckily the driver let the two small people (me and Kyle obvs) sit up front with him (for once being small has its advantages!!!). Off we went to Krabi listening to both some terrible Thai music and our driver’s own rendition of it. It became apparent that our driver had some errands to run along the way… we stopped at various places in shady areas and he’d get out, talk to someone or hand over some money and then get back in the van and turn around. 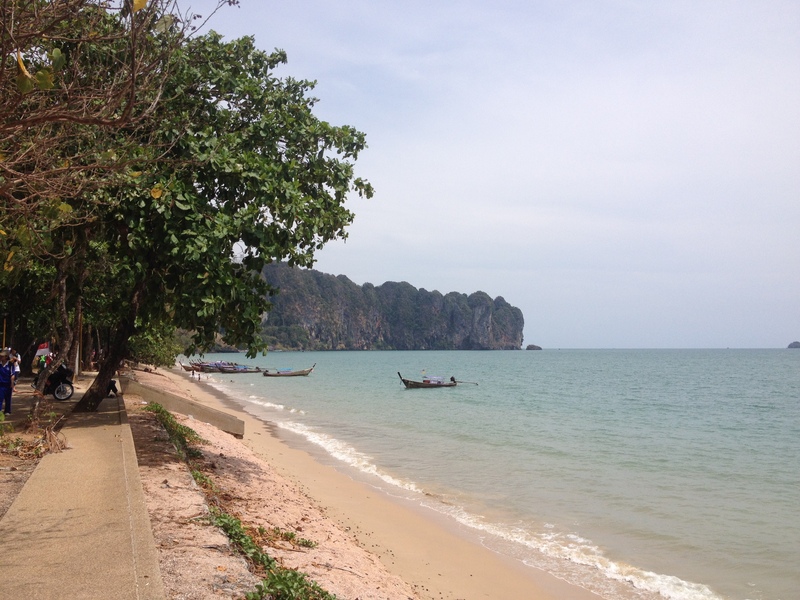 We arrived at Ao Nang Beach. 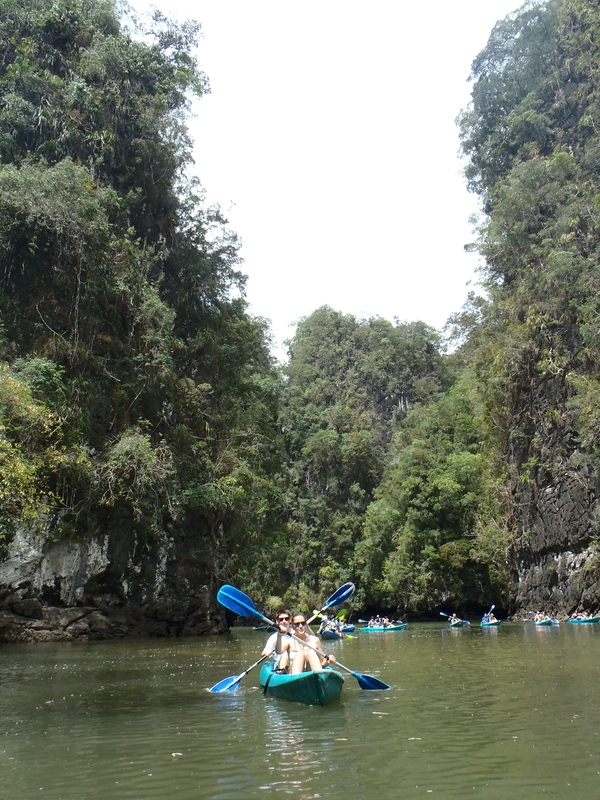 The Krabi province is quite famous for its limestone cliffs and some of the islands were in the James Bond film ‘The Man with the Golden Gun’. 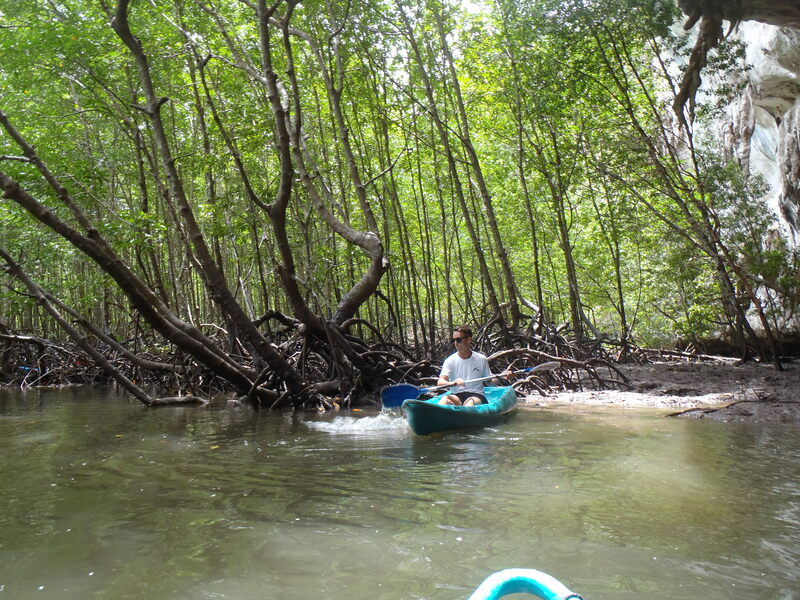 It was very beautiful and very different to the Gulf of Thailand. 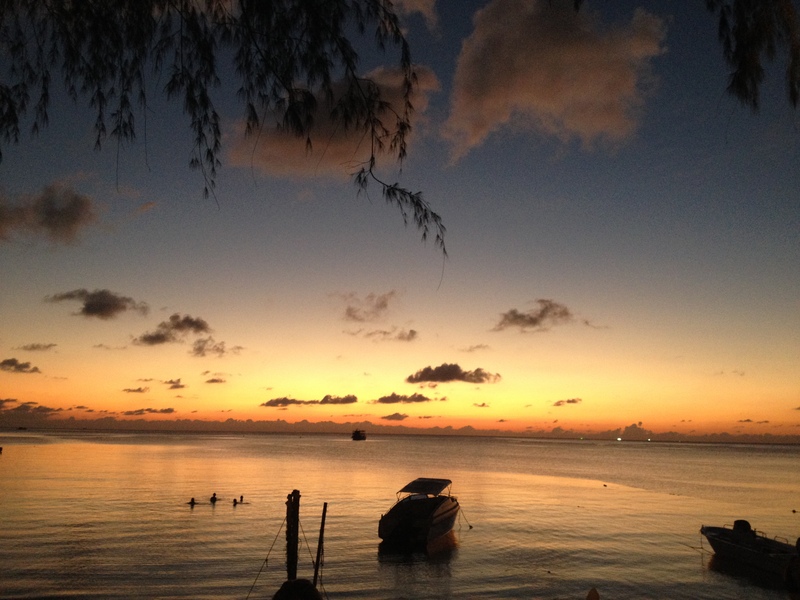 We arrived without prebooking any accommodation as it’s low season here and easier to negotiate rates in person. We found a room in a hostel with 20 beds and no windows for 200 baht a night, but we decided to give it a miss and try our hand at negotiating at other places until we settled for a little bungalow with amazing views of the limestone cliffs for about 5 pounds each a night – a steal! 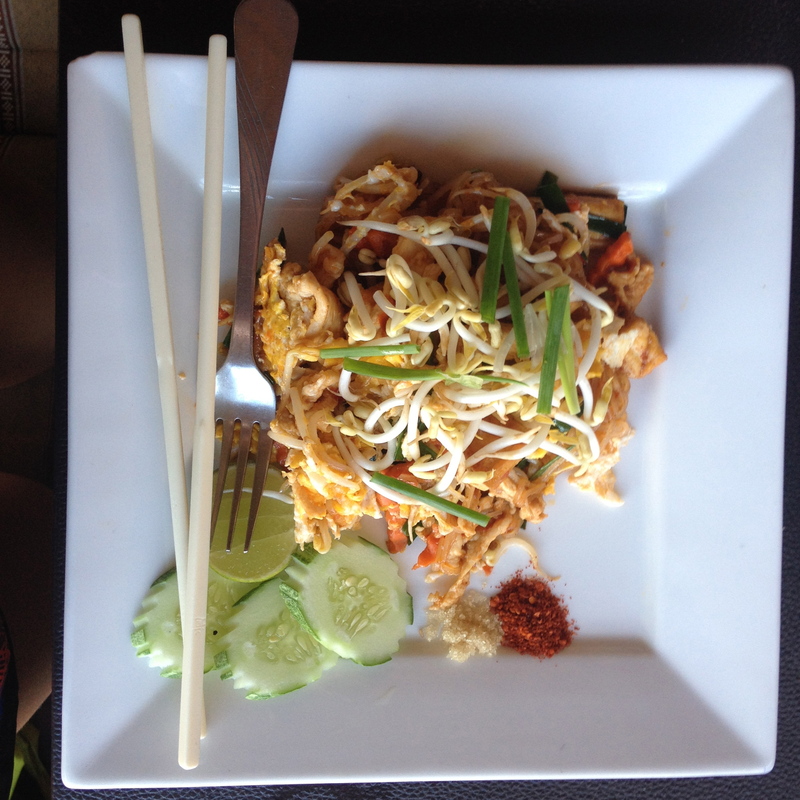 We spent the rest of the day walking around and munching on 50 baht pad thai street food. It was oh so yummy.